I received an ebook copy of this novel from Net Galley and Harper Collins Children in return for an honest review. 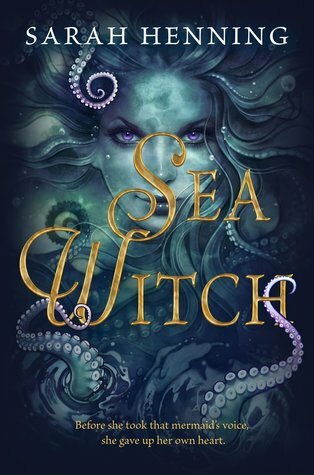 This novel is the origin story of Ursula, the Evil Witch in The Little Mermaid, and how she became the way she is. I was really excited when I saw the blurb of this novel, I love The Little Mermaid and I love fairytale retellings/origin stories, so I was super excited to see I had been approved for a copy! Also the cover of this novel is incredible, I've seen it in the flesh in store and it's absolutely stunning, the colour palette used and the imagery are beautiful! Overall the plot of the novel is good, although I feel that the author could've sped up the pacing of the novel. The first 70% or so is very slow paced and the novel meanders along. When we reach the climax of the novel in the last 30% it speeds up so much it seems like the plot is going in fast forward, the difference between the two parts is so extreme. This dramatic change of pace is quite jarring to read, this could've been smoothed over slightly which wouldn't have left the novel feeling like two separate parts. The characters were a little disappointing to me, neither of the male love interests Nik or Iker were very well developed at all, both were almost interchangeable they were so alike. This meant that all the relationships felt weird and strained and fake, and all of the 'love' seemed to just materialise out of thin air. I didn't think the female characters were actually much better, they also weren't fully developed, and made weird decisions that seemed very out of character. This also meant I didn't really grow attached to anyone, the end of the novel could've been really heartbreaking, but honestly I wasn't attached enough to anyone to really care! However, despite this they were still fun characters to read about, and the relationships were safe and cosy even if they didn't seem to based on anything. Also because I wasn't that attached it was a nice easy, light read which didn't involve any effort from me. This novel is set in Denmark in a small fishing town, and I absolutely loved this setting! I loved the research the author has put into the traditions and specific nuances of the time and place, and she really brings the setting alive with her writing. Overall I enjoyed this novel. It didn't quite live up to my expectations, but it was interesting to see how the author created Ursula's origins and the setting was beautiful to read!